Hasmonean Fortress of Machaerus Unearthed - on "Wrong" Side of Border [PHOTOS] - Breaking Israel News | Latest News. Biblical Perspective. 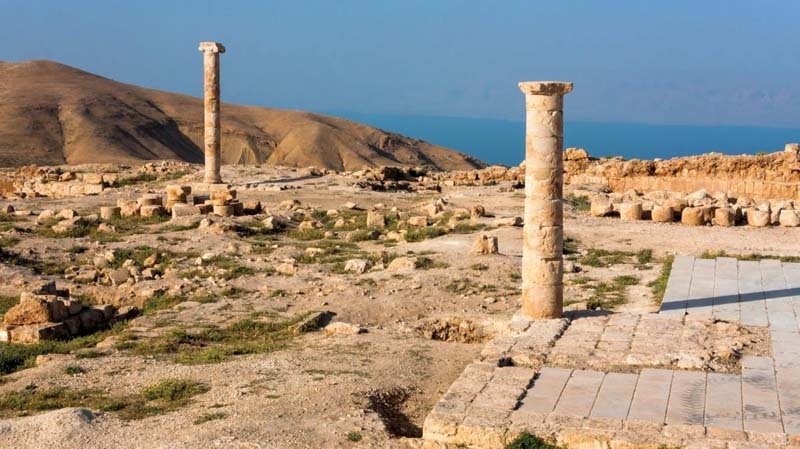 A Hungarian archaeological mission digging in the ruins of Machaerus, a fortress built by King Herod on the eastern shore of the Dead Sea located in modern Jordan, has discovered a large ritual bath which were likely constructed for the royal family’s use. The bath has 12 steeps, and was fed from a reserve pool when its water ran low. In order to qualify as a means to purification, a ritual bath must have at least 40 se’ah, the equivalent of about 83 gallons of water. The underground cistern, 54 ft deep, watered the baths and the fortress’ gardens. The architecture of the bath is very similar to the baths and cisterns discovered in nearby Qumran (across the Dead Sea). It is situated 9 ft below the royal courtyard, and used to be covered by a vaulted stone roof, which was probably demolished by Lucilius Bassus’ 10th Roman legion. Bassus’ soldiers, on a campaign to repress the Great Jewish Revolt, in 71 attacked the Herodian fortress and the Jewish warriors who were hiding inside. 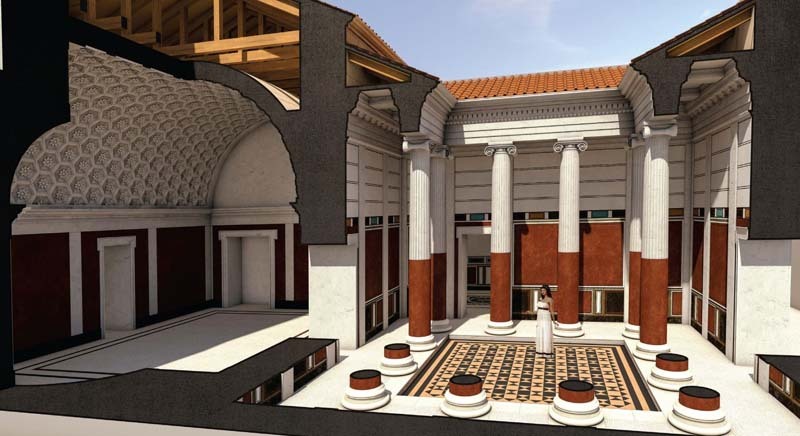 The archaeologists exposed collapsed walls, two massive column drums, and four Roman ballistae. 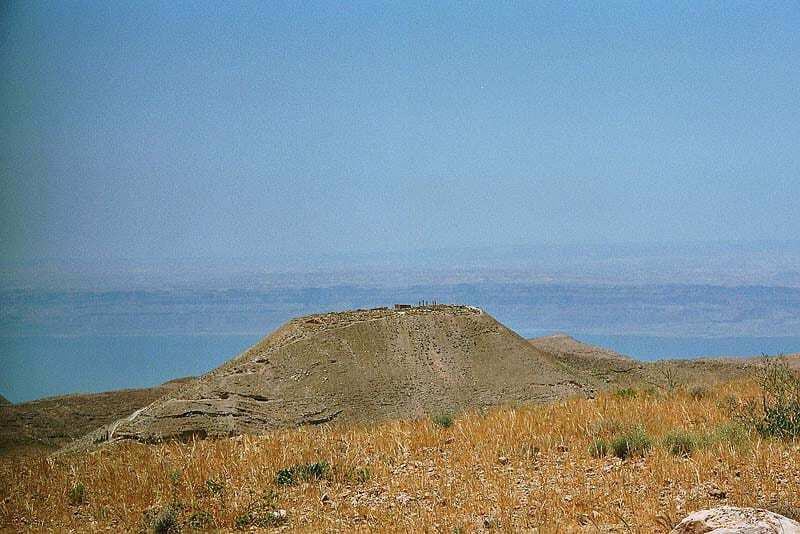 The fortress of Machaerus was built by Hasmonean king Alexander Yanai (104-78 BCE), probably in 90 BCE. Its high, rocky vantage point was difficult to access, and it was used to spot and alerted Jerusalem about invaders from the east. It was part of a warning system that included several Hasmonean citadels, in one another’s line of sight. Machaerus was destroyed by Pompey’s general Gabinius in 57 BCE, and later rebuilt by Herod in 30 BCE as a military base. Herod’s son, Herod Antipas, inherited the fortress (and the kingdom) in 4 BCE, until his demise in 39 CE. That’s time when, according to Christian belief, John the Baptist was imprisoned and beheaded at Machaerus. The legend sets the event on Herod’s birthday (that’s Herod II), when the king’s daughter Salome danced before the king and his guests, and her father liked it so much that he promised to give her anything she desired, at which point Salome asked for—and received—the head of John the Baptist on a platter. 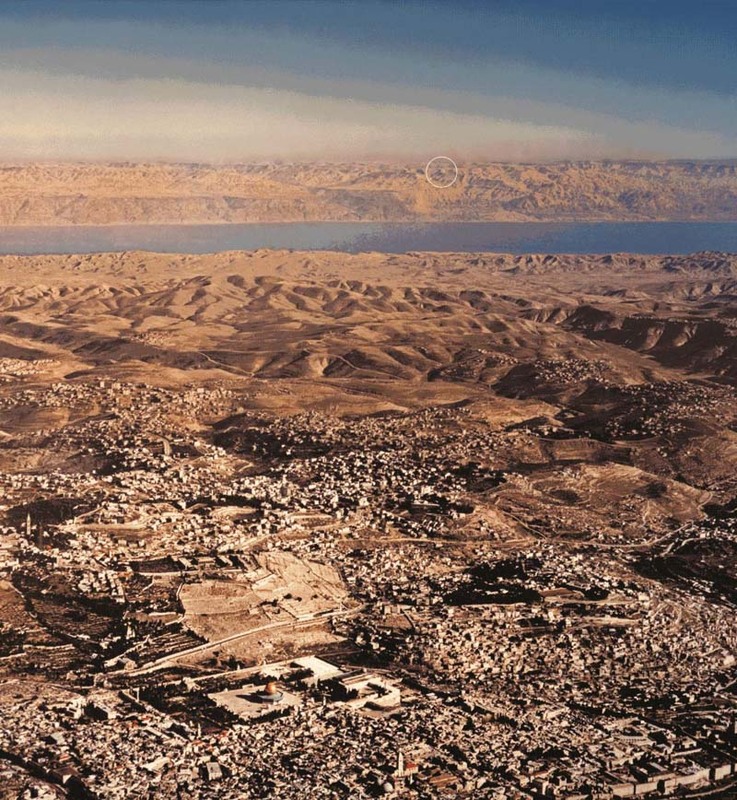 The excavation of Machaerus began in 1968, by the American Archaeological Baptist Mission. The current excavations, by a Hungarian-Jordanian team led by Dr. Győző Vörös, have unearthed intact massive walls 30 ft high, revealing the majesty of the legendary Herodian architecture. The Hungarian excavators also discovered dozens of Hasmonean and Roman coins, as well as 47 Aramaic broken pottery shards inscribed with Aramaic letters.